I am fortunate enough to receive a copy of the ‘Learning Curves’ book from Allan Macdonald who wrote the book together with Klara Sjölén, author of the ‘design sketching’ book that was published in 2005. 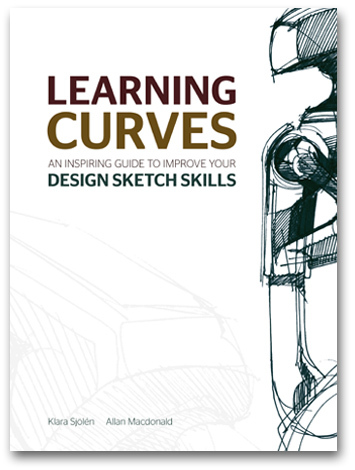 ‘Learning curves’ is a brand new sketch book, aimed at teaching how to really learn to sketch. My library contains around 10 books about industrial design sketching, but I believe that this new one is my current favorite book among them. This book covers many elements of sketching in a very pleasant and stimulating way. 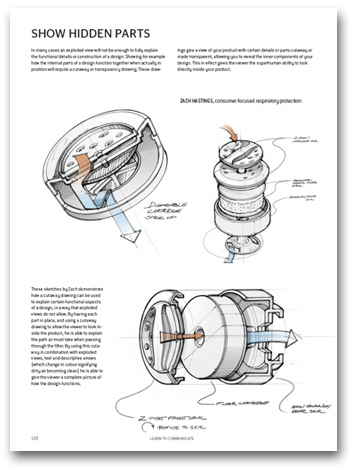 Of course it contains tons of fabulous sketches from highly talented designers around the world in different styles, but the best of it is the detailed explanations of how, what and why. It is definitely a super inspiring guide for beginners and skilled sketchers to become even better, or just to get motivated and pick up some sketching tools to sketch right away. 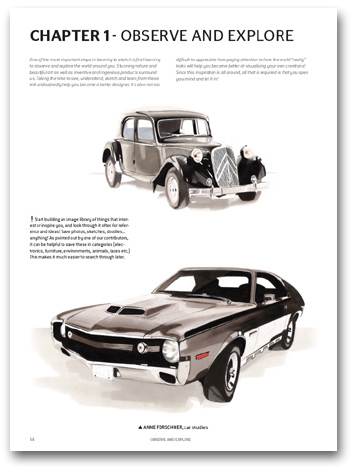 You will understand why good looking sketches look good, and how you can do it too. Of course it still takes a lot of practice, but if you have real passion and endurance, then you can succeed in everything. In each chapter we have included examples of exercises that should help you improve your skills. We would nevertheless like to point out that these exercises do not cover everything you could do. Our hope is instead, that the book will serve as a starting point and source of inspiration, leading you to search out and develop your own learning techniques. You know, one thing is missing with these kind of books, which is a DVD that shows how designers sketch, or how they develop ideas from quick sketches to a detailed rendered illustration for presentation. And thanks to Allan, who included our forums site into the reference page at the end of the book. Don’t forget to visit their facebook fanpage as well! i have got most of them, and some others as well. I have these books as well and frequently refer to them, I’m not sure there is any better resource for industrial design.